Be establishing long term goals, you are able to consider the big picture of what you hope to achieve. Will you be working on that same novel five, even ten, years from now? Our critique group uses a worksheet. Make your goals simple and specific, things that you can actually visualize yourself achieving. Making the New York Times Bestselling list is probably not realistic if you’re a beginning writer. Identify 3 times in a 24-hour period to Write. 1. Wake-up one hour early and write. 2. Skip lunch with coworkers and write only new words on WIP Monday-Thursday. 3. Stay up late at least one hour on Friday, Sat., and Sun. to work on edits or blogs. Study your list. Can you visualize yourself actually accomplishing these tasks? Can you see yourself with pen in hand or typing at the keyboard at the times and places you’ve chosen? Setting achievable goals equals success. Make a list of at least four goals you hope to accomplish within the next year. Achievable goals would be defined as something you can definitely complete, to measure your progress and give you a sense of accomplishment that your writing career is moving forward. This could be things like writing and polishing an entry for a contest, or completing a submission for an anthology. Be specific; what contest? Don’t know of any? Find one and list it on your goals sheet. How about a notation to subscribe to a market listing for magazines? Your goal will be to actively study submission opportunities and submit X number of freelance articles during 2013. What about your goals in social media and promotion? These are difficult to measure because the connections you make this year may not reap benefits for months, even years from now. I’ve had invitations to speak come from a contacts I made years before at a chance meeting. You can define specific activities, for example, actively participating on twitter during the next year, setting up a Facebook fan page, or uploading your inspiration to a Pinterest page. Authors are utilizing Pinterest in unique ways and it’s loads of fun. Add to your worksheet one “dream big” goal. List something you hope to achieve that seems totally impossible. Go ahead and put the “NYT Bestselling list” here if that’s what you want more than anything. I’m excited to announce that my dream big goal from way back in 2010 was realized this past year in 2012: I signed with a literary agent. Don’t be shy or doubt your abilities. Dream away. 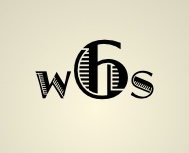 Best wishes on reaching your writing goals in 2013, and thanks for following WordsmithSix Blog. The kids fight to see who will be in bed first, but after getting there and pulling the covers over their heads, they lay awake listening for every little sound. Is Santa here yet, they ask each other in whispered voices so they won’t get in trouble on this night when they need to be extra, extra good. Eventually each child nods off, snores and dreams of a special toy they had fervently asked for. Christmas morning the sun peeks in through the windows and every kid wakes up with a deep breath and the feeling that something has happened during the night. They jump from bed and run into the room where the tree stands sparkling. Their parents follow them with tired knowing looks on their faces. The presents are passed out and the chaos begins. Ribbons and paper fly through the air as the children rip it from the boxes to find the surprises hidden underneath. As a young mother I would watch my own brood tear through the paper in less than fifteen minutes and shake my head. I had been a meticulous gift wrapper and the destruction often left me wondering why I took so much care. Then I would look at the mess of tags and ribbons and gibblets of paper all over the floor I kept vacuumed and clean and wondered why I bothered. But when all the frantic unwrapping and opening and string cutting and shouting was over, the clean up came and life became normal again. And the happy looks my kids wore on their faces reminded me what it was all about. So where am I going with this happy memory? Well, it occurred to me that the pantser style of writing, which is the way I write most of the time, is a lot like Christmas morning. I get an idea in my head that buzzes around enough to keep me from sleeping the way I should. As I lay awake at night thinking about the new characters and what they want and why they can’t have it without an adventure, every thought from kids’ lunch money to laundry can have a bearing on my story. When I finally get to sit at the computer to tune in to the voices telling me a story, I tear through the words as if they were simply thin tissue paper covering a secret surprise inside a box and the only way to get to the center of the adventure is to violently rip every shred of taped paper and fling it away. Once the story is revealed, I can look around the room. It appears as though an explosion took place, only instead of bright colored paper, it’s words. Then comes the job of putting everything in order—tossing out the trash, rearranging scenes and characters, making sure all the little pieces are still there without a lot of extra stuff that doesn’t fit anything. When it’s all done, I see the look on my readers’ faces and remember what it’s all about. With lotions, tissues, books and bags. When the air was rent by a shrill sounding whistle. And thus we listened to the offending whistle. But a green sedan and a kindly elf. And sprinted inside to shut off the loud cry. Calling to check on the code he cleared. Opened our packs and unloaded the stash. Loaded the bags, and cleaned up the trash. And with a sigh of relief we headed out. Glen met us as we came down the hall. Smiles and hugs he had for us all. “Of you Brown girls I’ll never be shed. At least I’ll not have to go post your bail. Our Christmas errands to finish that day. Please forgive this poor verse. Of that I don’t lie. My apologies to Clement Clarke Moore for taking liberties with Twas the Night Before Christmas… I hope you and yours have enjoyed a great holiday. I wish you a very happy 2013. A ‘spark’ for writers is the moment an idea is ignited in our mind. The actual words may appear that very moment as notes on a restaurant napkin, or it may be months from now. I have spark notes written on and in everything. Sticky notes, an essential tool for writers, completely cover the wall next to my desk. One statement my son made became the basis for an article published in a magazine over a year later. You just never know what those spark might become. Ideas are everywhere (check out Postcards from the Muse segments by Nandy Ekle right here on WordsmithSix Blog). Writers find sparks in overheard conversations or by reading others written words. Pictures or art can conjure up a story idea. More often than not sparks come from a writers life experiences. Good or bad, joyous or devastating; emotions evolve into wonderful prose. As I writer, I’m always fascinated with the history behind the spark and the environment that influences that writer’s words. In the case of Christmas Bells, Henry Wadsworth Longfellow wrote the words to his poem on December 25, 1864. The music and words are lifting and it’s always been one of my favorites, bringing to mind joyous holidays past spent with my favorite grandmother. The words actually came from a very distraught Longfellow. Just three years earlier, his wife Fanny had wanted to preserve her daughter’s hair clippings in wax. In a tragic turn of events, hot candle wax dripped onto Fanny’s dress, igniting it in flames. She ran into her husband’s study, where Henry tried to extinguish the blaze with a rug. He experienced severe burns to his face, arms, and hands. How they both must have suffered through that long night, only to have Fanny Longfellow die the next morning. Henry was much too ill to attend her funeral. “A merry Christmas’ say the children, but that is no more for me.” reads Longfellows’ journal entry for December 25, 1862. Tragedy struck the family again in 1863 when his oldest son Charles, who was only 19 at the time, suffered a severe wound as a lieutenant in the Army of the Potomac. Charles had left without his father’s blessing, joining the Union cause in March of that same year. The Christmas season of 1864 must have been a dreadful time for Longfellow, as he carried on to care for their remaining small children, Ernest, Alice, Edith and Allegra. The Civil War was raging, skirmishes had continued throughout the country as they were still months away from Lee’s surrender to Grant at Appomattox, and Abraham Lincoln had just been re-elected. From the depths of his soul he wrote “Christmas Bells”, what some believe to be a pacifist poem roused by his grief upon hearing about his son. It was first published in 1865 in a juvenile magazine. Tonight I watch as tumbleweed after tumbleweed blows across my path. Hundreds, no thousands seemed to tear themselves away from their earthly home desperately seeking a place to grab onto. Sadly they only found themselves buried against barbed wire fences with countless others of their species. The wind continues to howl and moan around me, pounding and pelting me with grit and dirt every which way I turn. My first thought was that the world was coming to an end, but I knew this wasn’t supposed to happen until Friday. What a relief to realize that until then I am apparently safe. My second thought is that with so much darkness and desperation I would have never been able to live during the “dirty thirties” of Ken Burn’s Dust Bowl days. And I very much doubt that I could have survived as a pioneer woman living in a dugout out on the desolate plains hundreds of miles away from any neighbor. All other thoughts turned to the tumbleweeds themselves. Several years ago I read a Louis L’Amour story about a lonely widow out on the plains that would tie notes to tumbleweeds just to try to connect to another human being. She never knew if anyone would ever see her notes. It was enough that she could put her thoughts down into something tangible, and send them on their way. “Conagher” found one of these with the writing attached, and looked for more clues to try to find the writer. So many people predict that books are on their last legs, believing that technology will take their place. And we are faced with the belief of the Mayans predicting that the world will be destroyed on December 21, 2012. Just like the horrific tragedy in Connecticut there will always be those who seek to drain our dreams and extinguish our passion, destroying our way of life, along with everything we believe in. Personally I prefer to hold in my heart a future that includes all that is wonderful and passionate. My thoughts are that even if we…humankind…blast to eternity in a ball of fire our ashes will remain behind to be reconstituted at a later date. There is no doubt in my mind that the message will still be there, readable and clear for future generations to follow. Like the sweet cockroach in “Wall E” I think that tumbleweeds, as books will survive any holocaust. As writers we have to write as though our thoughts and desires will continue to survive. If we believed that our stories would never reach outside the ideas we hold in our hearts, or if we fail to find our “spark” as in Natalie Bright’s blog post, then we should never begin in the first place. So just in case the Mayan’s are correct I want to get my Wordsmith six blog out of this plastic computer box as soon as possible. Hopefully I can get it printed onto a medium even if it is something as simple as copy paper. I hope and pray from the very bottom of my heart and soul all my words can come alive again. I so want to be reassured that it will be there for others to share for the future. At that time, how wonderful would it be if whoever controls the universe, whether it is the Good Lord or any other Higher Power, that He will see fit to rebuild a world with Hanukah as well as Christmas, and tumbleweeds as well as books. As God and John Wayne are my witness, I know the message will be perfectly clear. “I can’t believe she bought everyone a present,” my mother said, as Dad eased our car out of my grandparent’s driveway. So began the conversation my parents had every year following our family’s Christmas. My grandmother bought presents for everybody. The gift list included her four kids and their spouses, plus nine grandchildren. She bought and baked goodies for her mail carrier, her beautician, the pastor and his family, and most of the neighbors on her rural country road. My parents never understood why my grandmother worked so hard and spent so much money at Christmas. I think she wanted to make special holiday memories for all of us, and more importantly, I think it made her happy. A lighted tree, decorations hung everywhere, and seeing my children’s faces when they open their gifts makes me happy. It is indeed a thankful time of joy and giving, which got me to thinking how people give in so many different ways. You might cook a fantastic meal for loved ones, knit or sew, or donate money to a worthy cause. If you don’t have extra funds, you probably donate your time. Most of you simply show up: at work and at home again, because someone is depending on you to be there. It’s all giving in one way or another and hopefully, you’re happy in doing it. As for Writers, We Write. Writers give by writing. It may sound trite compared to some of the things I’ve mentioned above, but it’s not insignificant to us. In reality, as words fill the blank page, we don’t expect anything in return, although with fingers-crossed we sincerely hope that you’ll buy the book, love the story, post a great review and become a devoted fan. That would make us very happy. With words we bestow our innermost sadness, hurts, happiness, and fears to you, our dear readers, throughout the year. It’s hard work and we rip our guts out for you. The written word is a powerful gift. Words can change your world view, touch your heart in ways you never imagined, make you laugh out loud, or make you cry. Sometimes, the gift of a story will remain with you your whole life.